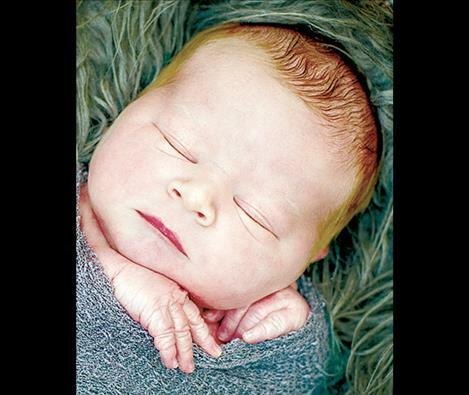 POLSON — Bethany Ann Wells announces the birth of her brother, Damien Eagle Walker Harpine. Damien was born April 11, 2016, at the Nesting Place in Providence St. Joseph Medical Center. He was 21 inches long and weighed 7 pounds, 15 ounces. Damien’s parents are Danielle and Scott Harpine of Ronan. Maternal grandparents are Mishele Lonewarrior and the late Kenny Spotted Eagle. Maternal great-grandparents are Lucy Vanderburg and David Skipton. POLSON — Illanna Jade Mathias was born April 18, 2016, at the Nesting Place in Providence St. Joseph Medical Center. 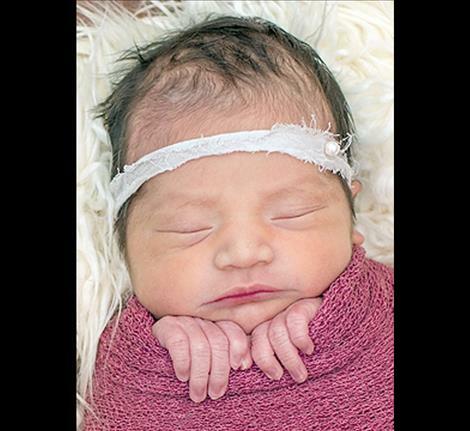 Illanna was 19 and three-quarter inches long and weighed 7 pounds, 3 ounces. Her parents are Naomi Stevens and Issaiah Mathias of Ronan. Maternal grandparents are Glenda and John Stevens. Paternal grandparents are Eunice Mathias and Ira Wyena. POLSON — Lucky Rex Cheff was born April 13, 2016, at the Nesting Place in Providence St. Joseph Medical Center. He was 19 and one-half inches long and weighed 7 pounds, 9 ounces. Lucky’s parents are Kayla and Micky Cheff of Charlo. Maternal grandparents are Teresa and Lucky Larson. Maternal great-grandparents are Dolores and Allen Swalling. Paternal grandparents are Shayla and Mick Cheff and Janie and Jay Bick. Paternal great-grandparents are Karen and Mick Cheff and Audine and Bob Kelley. POLSON — Adaleigh Whealon announces the birth of her sister, Meighla Nettie-Jo Whealon. 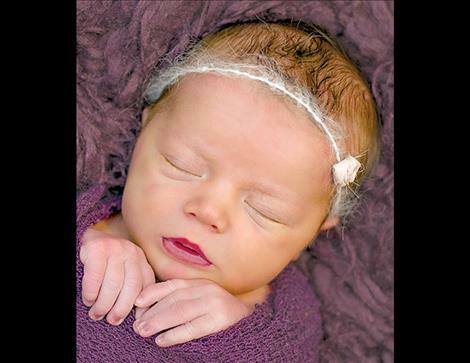 Meighla was born April 11, 2016, at the Nesting Place in Providence St. Joseph Medical Center. She was 19 and three-quarter inches long and weighed 6 pounds, 9 ounces. Her parents are Kayla Golden and Jamie Whealon of Polson. Maternal grandparents are Anna Golden and Bill Trimble. Maternal great-grandparents are Myra and Ray Golden. Paternal grandparents are Donna and Jerry Whealon. 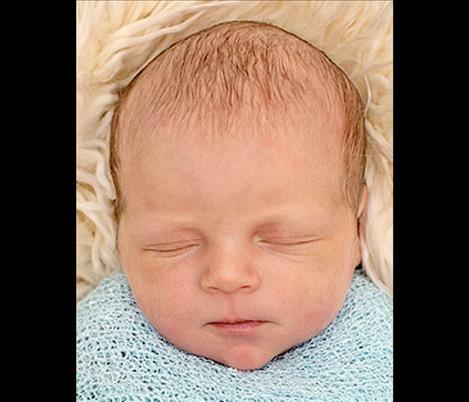 POLSON — Wyatt Romeo Freeman was born April 17, 2016, at the Nesting Place in Providence St. Joseph Medical Center. Wyatt was 19 inches long and weighed 6 pounds 14 ounces. 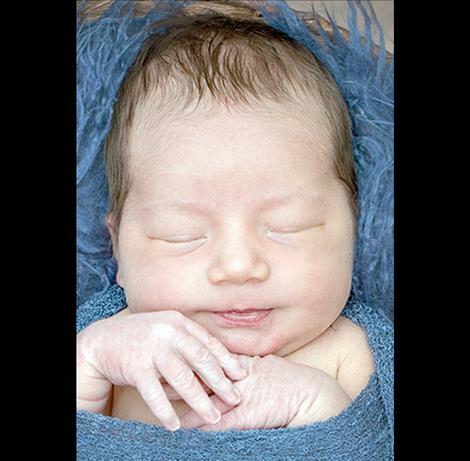 His parents are Kayla and Justin Freeman of Kalispell. Maternal grandparents are Jessica and Frank Repnak. Maternal great-grandparents are Kay and Tony Padilla and Mavis Repnak. Paternal grandparents are Lorinda and Jeffrey Freeman. Paternal great-grandparents are Helen and Doug Freeman and Mary and Harry Magoon.